“So he created his own garden. An imaginary place inspired by the symbolic power of all the gardens he had seen. An earthly paradise in miniature, on a human scale A retreat in which to converse with oneself and others, and to honour one’s ancestors. A vantage point from which to observe the soul and creation, where different kinds of beauty never compete but rather compliment and enhance one another”. Le Jardin de Monsieur Li opens with an aqeuous citrus note. It’s a tricky little blighter, this citrus note. It took me a good few wears to pin it down and work out exactly what it is and my findings confirm it to be a zesty orange accented by bitter grapefruit, the latter of which is a Jean Claude-Ellena staple, and presents itself with a discordant rasp that is decidedly sharp. What is particularly intriguing about this citrus opening is the fact that it isn’t bright or dazzling, in fact, the effect is surprisingly muted and calm. One gets the impression that this is citrus reflected in the soft ripples of a pond, rather than stared at directly, and the ever so subtle hint of mint in the background adds to this, speaking quietly of sweet greenery resting on the calm surface. Jasmine plays a key role, but not in the way one expects. The flower is often presented as a hotbed of indole and skank. It practically pulsates with headiness, sending forth breathy gushes of hot white petals. In Le Jardin de Monsieur Li the jasmine is transparent and waxy. It has a biting, almost plasticky feel that brings to mind the idea of white flowers shrink wrapped in cling film. There is some of the jasmine’s signature headiness, but as with many of Ellena’s perfumes for Hermès, this familiar tone is presented as a water colour rather than in fully-saturated intensity. This is a wispy, aquatic jasmine (Robin of Now Smell This called it “watery” and I can totally go along with that) that is quiet, tranquil and fascinating. As it dries down, Le Jardin de Monsieur Li becomes about musk and woods. Another Ellena staple, the ‘mineral’ accord is prominent in the base, evoking the idea of clean and clear water splashed onto cold stone. The woods are soft and transparent, lacking any sharpness or spice. Greenery is abundant in the ‘air’ of the base, and whilst it all feels incredibly low key in terms of size and volume, there does appear to be a great deal of complexity to it. There’s a lot of work going on under the hood, as it were, but it all comes across as seamless and simple on the surface – such is the talent of one of perfumery’s true masters. Le Jardin de Monsieur Li is gorgeous, truly. I’d even go as far as saying that it is easily my favourite in the Les Jardin series, and a hot contender for one of my top Hermès scents. It’s quiet and calm with a subtle sillage (the antithesis of many fragrances I love, I know), but it’s also heartbreakingly beautiful. I know that Monsieur Li’s garden is not based in reality, instead it is an idea imagined into life by the talents of Ellena and Hermès, but I simply can’t help but want to visit this zen-like place. Thus is the power of perfume – it has the ability to transport and inspire, and in that respect, Le Jardin de Monsieur Li succeeds – it leads one to wish that this garden, which is carefully painted by Jean-Claude Ellena, was real. Luckily for me, I can visit Monsieur Li’s garden any time I wish, all it takes is one quick spritz. 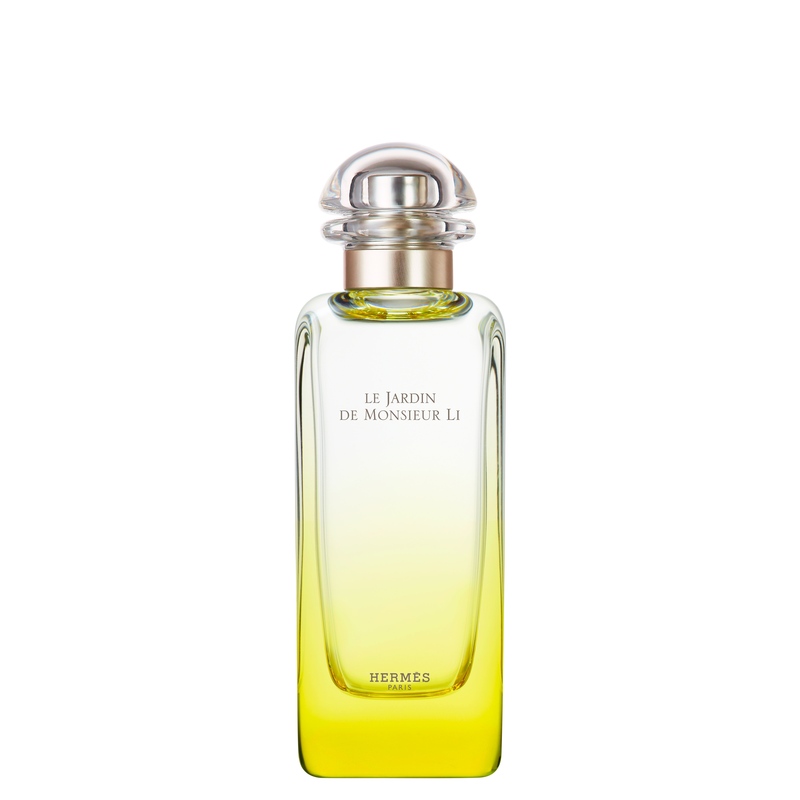 Le Jardin de Monsieur Li is available in 50ml (£59) and 100ml (£84) Eau de Toilette. Sample, quotes and Image 2 via Hermès. Image 1 is my own. Notes via Fragrantica. Posted in Citrus, Floral, Hermés, Perfume Reviews, Unisex and tagged China, Citrus, Floral, Garden, Hermés, Jasmine, Jean-Claude Ellena, Le Jardin de Monsieur Li, Les Jardins, Perfume Review, Unisex. Bookmark the permalink. What a beautiful review! It brightened my morning, hank you, Thomas! Thank you, Birgit! I’m glad to have brightened your morning. 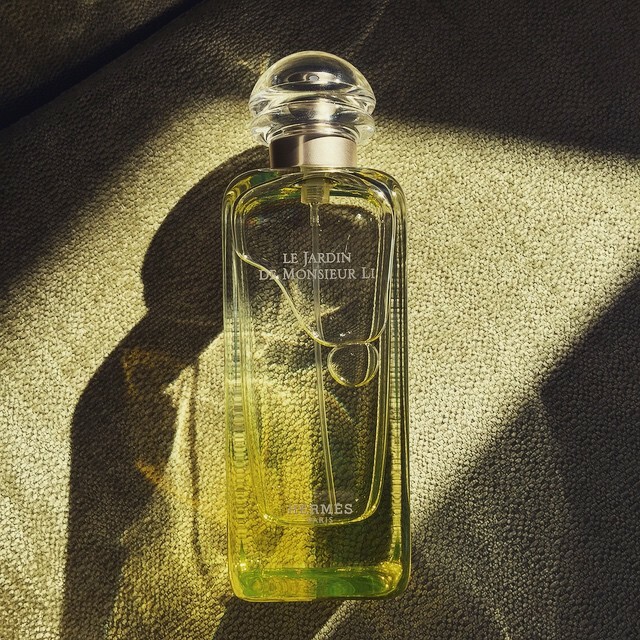 Le Jardin de Monsieur Li is an inspiring perfume. A very enticing review Thomas! Les Jardin fragrances haven’t done it for me so far but this sounds rather lovely. I’d assumed it was masculine because of the name but it doesn’t read that way. Oh, it’s definitely genderless, despite the name. It’s a very enticing fragrance. This is my favorite perfume! I just love it. Your review is the perfect description. Thank you! I loved the perfume since the first time, but your review made me fall in love with it again! That makes me happy to hear!